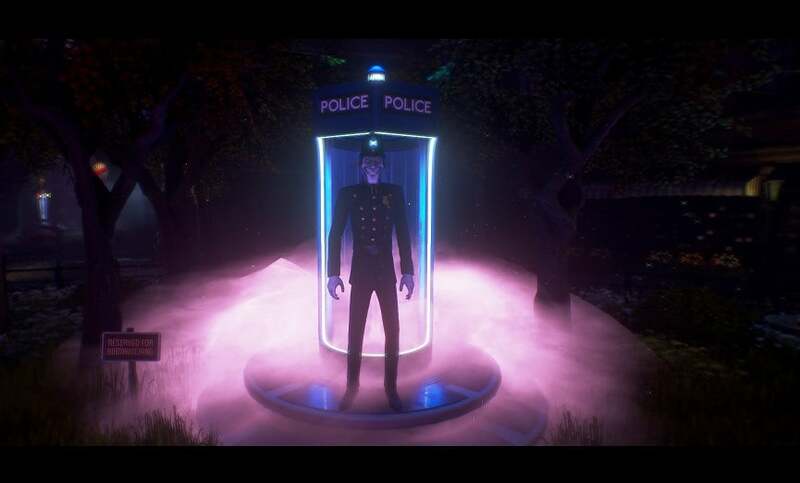 As part of the original Kickstarter campaign for We Happy Few, developer Compulsion Games promised at least one new mode after backers met certain stretch goals. Four years after that original campaign and half a year after the game was fully released, the Canadian studio has over-delivered with not one, not two, but three new modes, all under the banner of "Arcade Mode". The first mode is Survival mode. This mode is similar to how the game was in Early Access/Game Preview, where the goal is to, well, survive. That means that players will have to hunt for food; water and shelter and use the right mixture of stealth, crafting and combat to persevere for as long as possible in Wellington Wells. 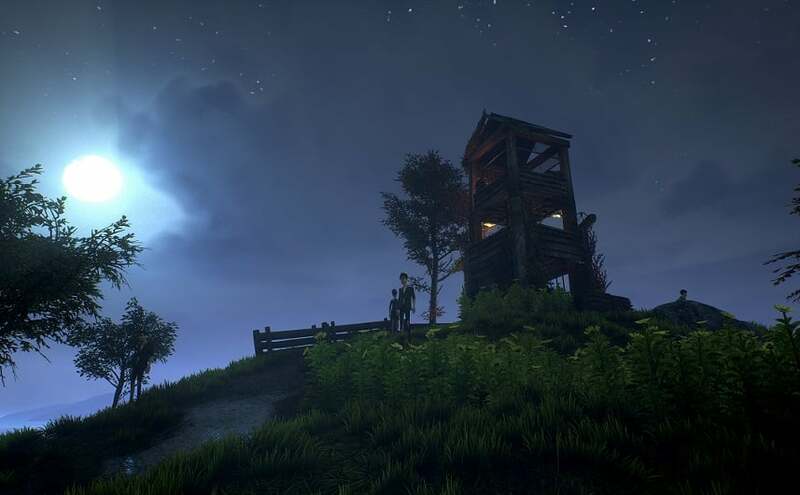 The new scoring system will be based on survival time, but there will also be a way for players to escape the island. The second of the three modes is the Night's Watch. Less Game of Thrones and more of an off-the-rails version of The Bill, Night's Watch will put players in the shoes of Constable Constable. As a Bobby, you'll need to use the fast-paced combat and upgrade-able weapons to keep increasing waves of Downers off the streets, all while making sure you don't run out of Joy. It seems a policeman's work is never truly done. The final mode is the one that backers met that Kickstarter stretch goal for: Sandbox mode. This mode is both non-narrative and non-goal based, allowing to play with the world generation systems and gameplay options. Instead of a more skill-focused mode, Sandbox mode allows for a calmer player experience where players will have the ability to create their own take on the world of Wellington Wells, with an array of cheats included. The patch notes are in full below. This patch contains Arcade Mode, including three separate new ways to play We Happy Few. It also includes infrastructure to handle the upcoming DLC, and general performance optimizations, crash fixes, fixes for progression blockers, fixes for gameplay bugs, and localization fixes. • Survival mode Added. Survival mode is a return to the Early Access survival experience. It has had all story elements removed, and is a mostly systemic mode. 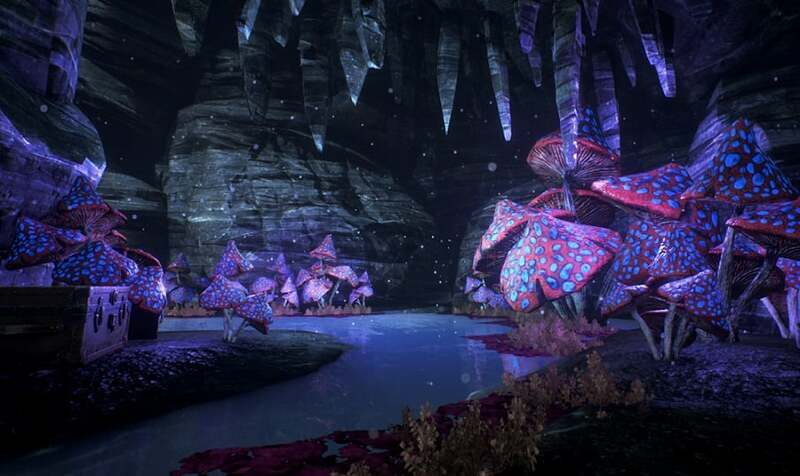 The mode includes tiles from the story mode that have had story elements removed, new areas and tiles, new onboarding, and a scoring system added. • Night’s Watch mode Added. Night’s Watch is the opportunity to play as one of the wellies - or in this case, Constable Constable. You’ll have to hunt Downers throughout the night to make sure the streets are safe for the citizens of Wellington Wells in the morning, and includes a new enemy to fight. • Sandbox mode Added. Sandbox mode allows you to tweak and change the procedural general system We Happy Few uses, with sometimes unpredictable results. Options that might result in unusual visual features or weird AI issues are marked with warnings, so use those settings at your own discretion. Basically, this is a mode to mess around in, and cheat/have fun as you’d like. • Added game type indication to save game info when loading games. • Fixed a crash on consoles when loading a save game inside the Doctor HQ in Arthur’s playthrough. This should unblock progression for anyone whose saved games were consistently crashing in this location. • Fixed rare crash/infinite loading issues. • Fixed issues with patrols/navmesh failing, causing NPCs to be in unusual places. • Fixed issues with NPCs teleporting/attaching directly to you during combat. • You can now equip a single gas mask when multiple are owned. • Rarely, Doctors' saw weapons had collision and could make characters bounce erratically when both come in contact. • Bobbies wearing gas mask are no longer immune to caltrops. That was quite silly. • Added missing prompt to unlock a water pump if character has a lockpick already crafted in their inventory. • Climbing onto the televisions in the streets no longer causes the camera to spin wildly. • Opening the map no longer causes the current quest map marker to persist after the quest is completed. • Player can no longer slip into areas when metal shutters open for NPCs (could break quests). • Rain should no longer show up in the interior of the joy factory. • Reloading the initial auto save will now correctly unlock the recipes for the Jolliest Brolly and Not So Jolly Brolly. • Entering a shop at the same time as night comes causes no longer causes the player to be trapped inside. • Spankers inside Wellie houses can no longer hit the player through walls and closed doors (tiny collision missing in the door frame). • Bodies you are carrying will no longer disappear if there are too many corpses nearby. • The term "non-lethal kills" in the statistics menu was dumb and now is less dumb (“takedowns”). • Subtitle/language fixes (including several Britishims fixed). • Localization fixes (including Arthur’s final cutscene - now translated correctly). • Fixed various stuck spots/locations where you could access areas inappropriately (causing issues). • Many small fixes, like animation skips, clipping art, etc. • Collecting a memory mask while the player character is talking will no longer result in the VO of the mask not playing. • Broadcasts: Uncle Jack shows will now unlock in all cases when listening and looking at wall protruding screens in the Village. • Fixed an issue with the “Gimme Shelter” achievement caused by failing the "A Model Citizen" quest. • Fixed an issue with the “Cat Burglar” achievement, where getting hit while picking up a fake cat statue could cause it to disappear. • Fixed an issue with the “Arthur Haste-ings achievement” caused by consuming a random obsolete phlash pill that could be found in an obscure location. Using any phlash pill should now unlock this achievement. • NPCs should no longer clip into the ground near the Rubble Pile at the Water Pumps. • Removed unobtainable chest in the middle of a watch tower in the military camp. • Fixed some save incompatibility issues and other blockers for players using saves from version 1.5 or earlier. • Fixed rare/obscure/conditional quest blocking issues with the Church of Simon Says, the Cult of Jack, Hallucinogenic Salad, Haworth Labs, Plough Boy's Lunch, Possibly Heinous Package / Superb Meat Boy, Really Bad Gas, Speaker’s Corner, Cathouse, Rorke’s Drift Bridge, Home Cooking/Connect the Dots, Duck Soup, Plassey Bridge, Military Camp, Manned Flight, So Foul and Faraday. • Ed Macmillan can no longer be lost. If you drop him, and he despawns, he’ll reappear at the point where you picked him up. • Arthur - Alabaster Bobby in Haworth Labs will no longer find an adjacent room more interesting that the room he should be in (allowing him to be fought in all cases). • Arthur - Edie Goes Downer: Loading in a game with the encounter/quest completed, no longer causes Arthur to repeat his quest completion dialog. • Arthur - English Vice: Reform Club NPC barks are no longer persistent after leaving the level. • Arthur - Future Perfect: Fixed incomplete video during "The House Of The Future" video with Jack. • Arthur - Letter Of Transit: Fixed narrative inconsistency with Arthur mentioning cod liver oil before he knows he needs it. • Arthur - Ravensholm - The Scottish Play: Ollie's model now behaves correctly with lighting during the cutscene. • Arthur - The English Vice: Using the shock baton "Tickler" no longer causes the NPCs in the Reform Club to teleport. • Arthur - The Great Stink: Fixed issue that could cause the worker keycard not to be available when needed. Any players stuck at this point should find a worker keycard either in their inventory or on the ground near the entrance to the underground. • Arthur - The Scottish Play - Military Camp: Turning the subtitle option on, at the military base entrance, no longer displays a full page of dialogue obstructing the player's view. • Ollie - Lud's Holm: Jumping under the Salamanca Bridge no longer causes the player to respawn stuck under the bridge. • Ollie - Manned Flight: No more auto-saves after triggering Manned Flight and can't manually save after completing the first objective. Fixes progression blocker in this area. • Ollie - No Place Like Home: The second Bobby no longer notices Victoria immediately. • Ollie - The Gung Hoster: The objective marker in this quest is now a location marker, and will show the location of where to find the explosives and Private Baden-Powell properly. • Ollie - Jericho: During the intro cutscene, the items Ollie takes out of his bag no longer have a duplicated version of them already on the table. • Physics - Corporal Cheeseman and other NPCs on patrol should no longer fall out of world when hit by Ollie with an enhanced cricket bat. • Sally - Hope Chest - Worldgen: A large patch of grass surrounding the chest no longer has a kill volume. • Sally - Train Station now has a POI marker on the map. • Fixed several issues related to dashboard use when saving/loading. • Fixed rare save game corruption issue. Save games could become larger than the UWP allowance, preventing them from being registered. Resolves issues encountered by Xbox Game Pass players who use the Play Anywhere feature. Update 1.7, containing Arcade Mode, is available now for We Happy Few on all platforms. We've got the full list of We Happy Few achievements - check the list for guides to unlocking them. Check out our Best Xbox Action-Adventure Games Available in 2018 article for a compilation of other great games in this genre.